In 2011, SMIF President & CEO suggested that his son Marcus explore a year of service through SMIF's AmeriCorps LEAP program. Marcus was on-board and he shares his experience in a blog post for where he currently works, National Youth Leadership Council. Learn how you can become a member by emailing Barbara Gunderson, SMIF's AmeriCorps LEAP Director at barbarag@smifoundation.org. 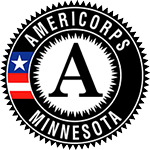 It’s AmeriCorps week, a time for celebration. But with new scrutiny on the Corporation for National and Community Service (CNCS) – the agency that runs the AmeriCorps program – champions for national service are worried. According to a recent New York Times article, CNCS is reportedly under consideration for elimination, a cost-saving measure, despite making up less than 0.03% of the total federal budget. 1. The return on investment. AmeriCorps is estimated to save $4 for every one dollar it spends. To explain: AmeriCorps programs target areas of disadvantage, poor health, and social ills. In doing so it reduces the need for more costly social programs further down the road. Leveraging millions of volunteers and private investment, AmeriCorps boasts a $5.9 billion net gain for the United States. And that’s just the fiscal benefit. What about the benefit to society? 2. Bridging the gap. AmeriCorps transplants young people to serve in communities unlike their own. What better way to foster understanding and empathy across disparate populations? With so much attention on the deep divisions in our country – racial, political, socioeconomic – AmeriCorps is quietly bridging the gap. 3. Growing the economy. AmeriCorps is on-the-job training. In addition to valuable skills specific to their service, AmeriCorps members develop the skills of leadership and problem-solving that make them competitive hires in the 21st century economy. I’m an AmeriCorps alum, along with half the staff here. As a small nonprofit, we’re no stranger to the realities of balancing budgets. But we know value when we see it. We owe to AmeriCorps our success, and our continued positive impact. 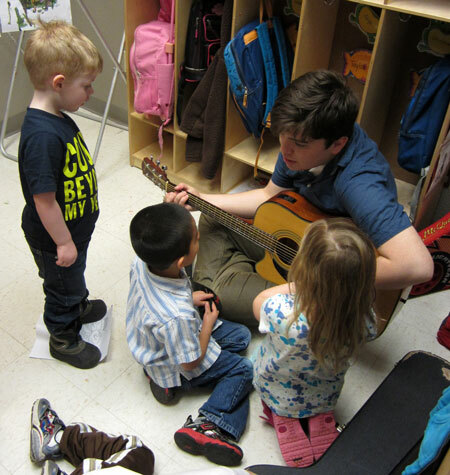 2011-2012 AmeriCorps LEAP member Marcus Penny playing guitar for kids.